Parts cleaning brush features stiff durable bristles for extended life and vigorous cleaning action. Long 9" flexible injector nozzle is used to flush the drum before removing it. Suppressing the dust before removal prevents exposure to hazardous brake dust even when considerable force is needed to free the drum. Requires no electricity, only 30 psi of compressed air. 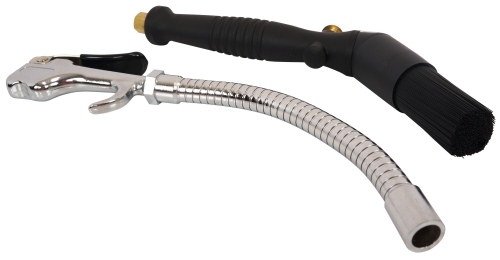 Can be operated in the field using compressed air from a service trucks compressor. Supply line filter protects recirculating pump from large particles. Air regulator limits pressure reaching the pump to 32 psi and eliminates the need to adjust or otherwise regulate main shop air pressure. 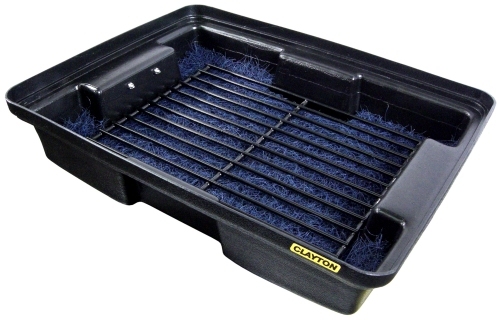 Prevents liquid from rebounding off basin and large debris from entering primary microfilter. This pad can be rinsed and reused almost indefinitely. Supports up to 200 lbs and protects the splash guard pad from damage. Easily removed to replace the filter or clean solution. 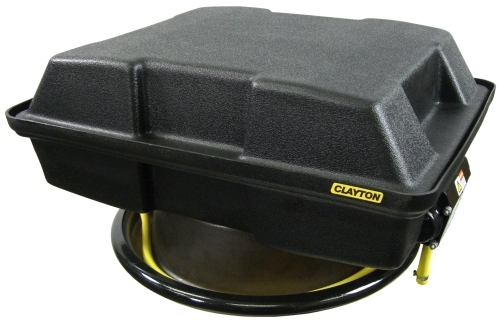 Basin measures 20" x 16" and is large enough to catch the run-off liquid from trucks or cars of all sizes. 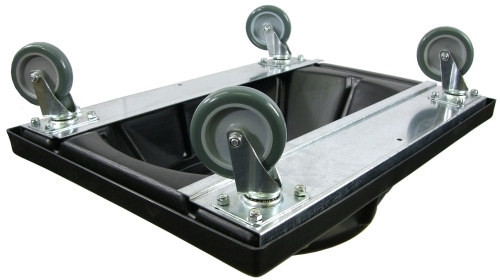 Our large steel reinforced base and 4" casters make rolling across the shop floor a breeze. 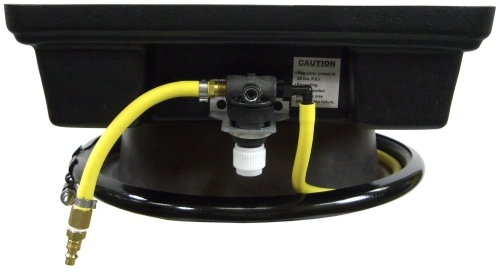 Two locking casters keep the brake washer steady when required. Basin and cover are made from durable polyethylene that stands up to rough handling and won't dent, crack, or bent. 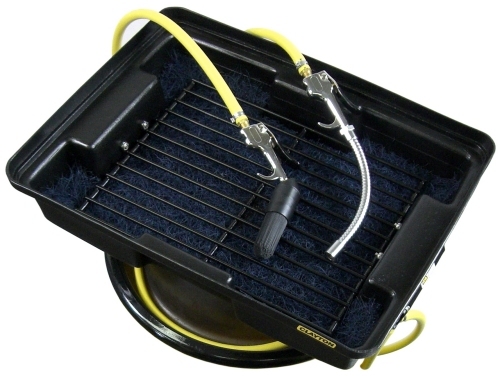 Cover keeps components safe and cleaning fluid from evaporating while not in use. Conveniently stores on side of brake washer when not in use. 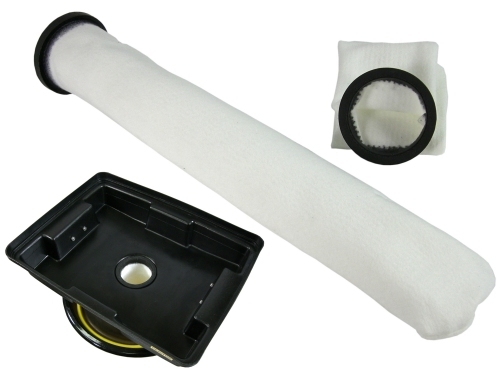 The 15 micron efficient cloth sock filter catches debris and extends the useful life of cleaning solution. The Sealtite™ collar fits snuggly in the basin drain and prevents debris from circumventing the filter media. At 3" x 18" this sucker absorbs and retains 1-1/2 liters of oil from the cleaning solution, and is reuseable. 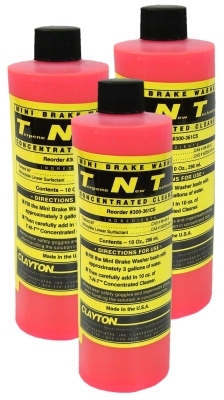 This is a non-toxic, non-flamable, biodegradable cleaner derived from all natural sources. 10oz of concentrate makes 3 gallons of potent cleaning solution. In most parts of the world, waste water from the basin can be disposed of in the sanitary sewer. Filters can be disposed of as ordinary shop waste. Consult local authorities for information regarding disposal in your area.